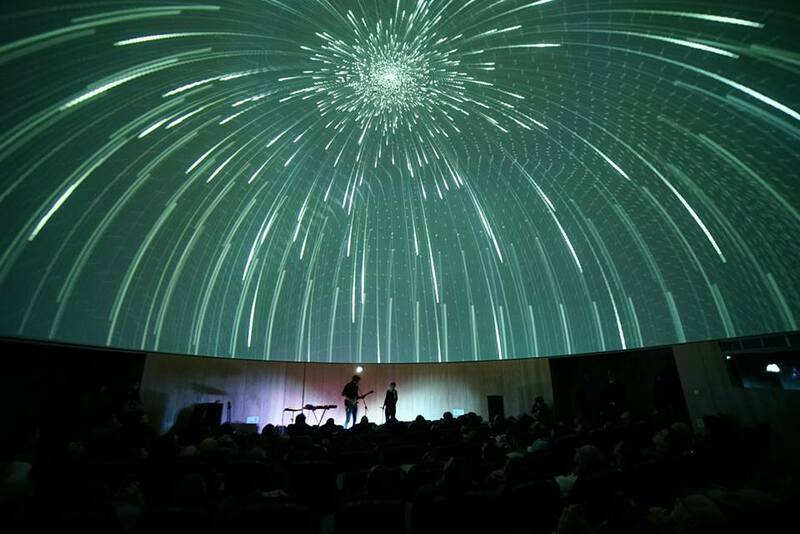 An Elumenati and Vioso collaboration bring real-time elements and live performance to the 12m dome at the Immersive Film Festival 2017. Our Omnity and WorldViewer software platforms work with Vioso’s Anyblend to enable multi-channel projection of live input, real-time applications and multimedia mashups. Our platforms provide native geometry correction and blending within the Unity game engine, for higher fidelity than typical mesh warping. Another unique feature of the Elumenati-Vioso solution is the ability to use a single computer with Ge-Force graphics cards vs. the multiple computers and higher-cost GPUs that typically drive multi-channel systems. The dome’s five projection channels are powered by a single Elumenati image generating computer. We donated the computer, software and services to enable a permanent playground for immersive VR content creators and planetarians at Centro Multimeios de Espinho. IFF’17 runs December 1-3, 2017, in Espinho, Portugal. More info is here. Previous post: Bell Museum’s Exploradome – the original GeoDome Theater – upgrades after 11 years in the field!